Compatible with standard alkaline AA, rechargeable NiMH or rechargeable Lithium 14500 batteries. With the Lithium 14500 cells, the lumen output jumps nearly 3 times as bright as with the alkaline battery. Features a 2 way clip that makes it easy to clip in either direction on your pockets or even the bill of your hat. Pure Beam Focusing System with Slide Focus easily transitions from flood to spot modes with one hand. Impact resistant, weather resistant and its LED is virtually unbreakable. 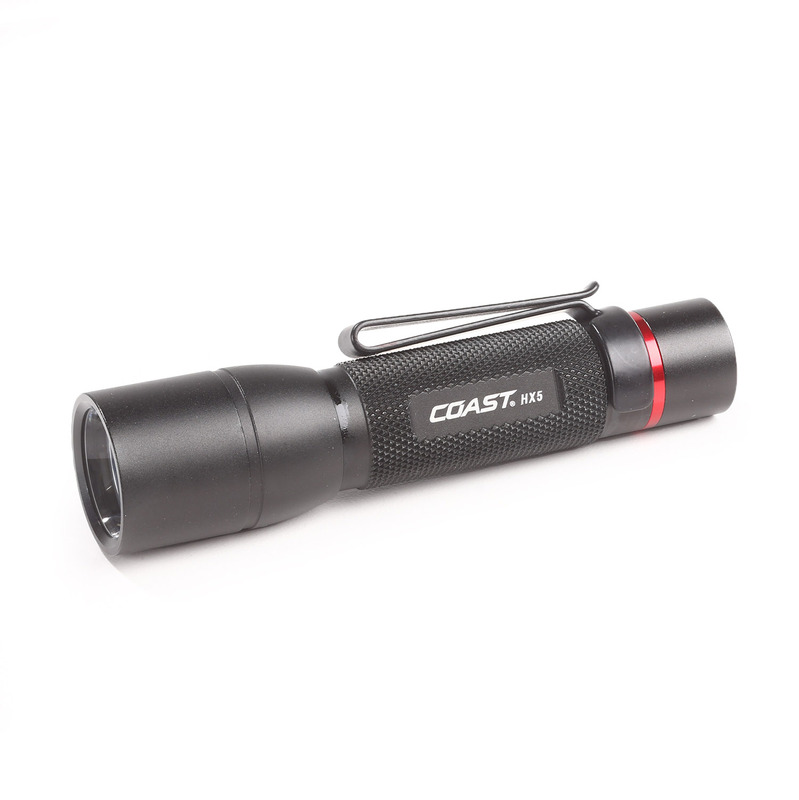 Backed by Coast’s lifetime warranty against defects in materials and workmanship.